Blaine School District will be hosting a 4-night workshop in November for caregivers of Primary and Elementary students. The workshop will take place in the Blaine Primary School multi-purpose room and will be co-facilitated by our School Counselors, Craig Robinson and Sarah Point-Moore, and Primary School Behavior Specialist, Lori Robison. We will present the video series titled "Emotion Coaching: The Heart of Parenting" and engage in discussion activities from a parent handbook. 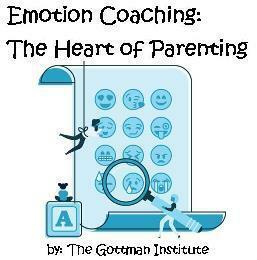 This video series is provided by The Gottman Institute. Childcare for students and siblings will be provided in the covered play area. Parents and other caregivers are encouraged to attend. The cost for participation is $10 per family, and financial assistance is available. To register, complete the registration form (click here to view) and return the form, with payment, to the Blaine Primary School office.